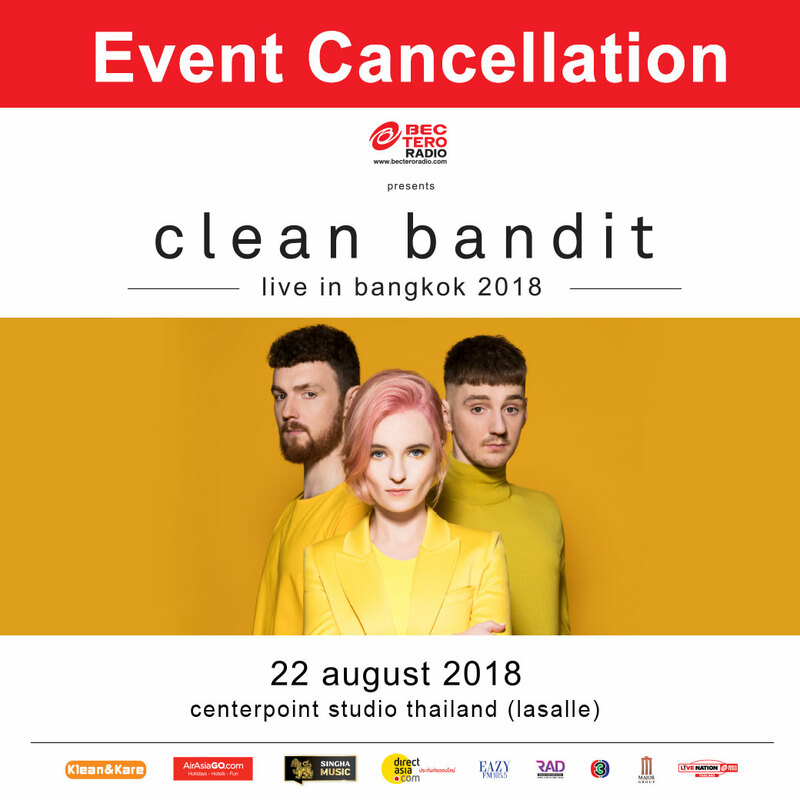 Due to illness, Clean Bandit are very sad to announce that they need to cancel BEC-Tero Radio Presents Clean Bandit Live in Bangkok this Wednesday August 22nd, 2018 at Centerpoint StudioThailand (Lasalle). As Grace had to fly back home to the UK due to illness we are very sad to announce that we need to cancel our performance in Bangkok on August 22nd. We are so sorry this has happened but we hope Grace gets better really soon and we'll come back to see you all in Bangkok as soon as possible! Our customers are able to refund their tickets for this special event at all Thaiticketmajor branches during normal business hours from August 22nd until August 31st, 2018. For further information, please contact Thaiticketmajor call center at 02 262 3838. We apologize for any inconvenience and thank you for your understanding.